Happy Monday Team Stryker fans! For today’s page we need to transport back to 2008 when I had just finished drawing the first issue of Team Stryker. I didn’t plan on coloring the issue since I was on a tight deadline to have the issue completed in time for my friend Matt’s wedding. I had enough time just to color the cover before I had to take it to the printers. Up until this point I hadn’t had much experience in coloring but this was a fun experiment from me. Here is the final colored page so you can see what a difference 4 years and ton of practice can do. 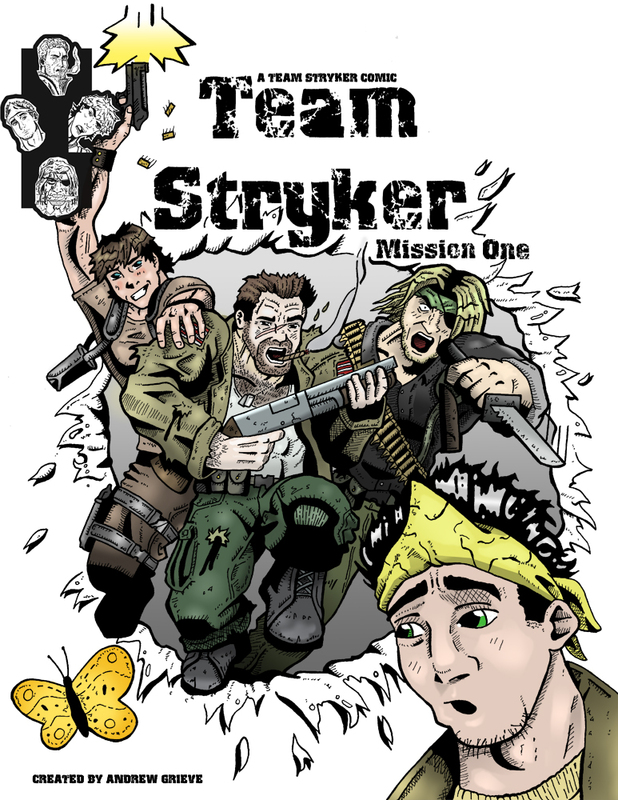 For all of you new to Team Stryker now is the perfect time to get caught up on the first two issues as Mission 003 is on a break for the holidays but will begin updating again in January. You can start your Team Stryker adventure here! Have a great start to the week and I will see you all back here again on Thursday for a behind-the-scenes look at the cover to Team Stryker Mission 002!